Big Hero 6 has hit the shelves in stores this week and my kids couldn’t be happier! We received* a copy of this new Disney hit to check out and it has skyrocketed to the top of the list of my son’s favorite movies–ever! 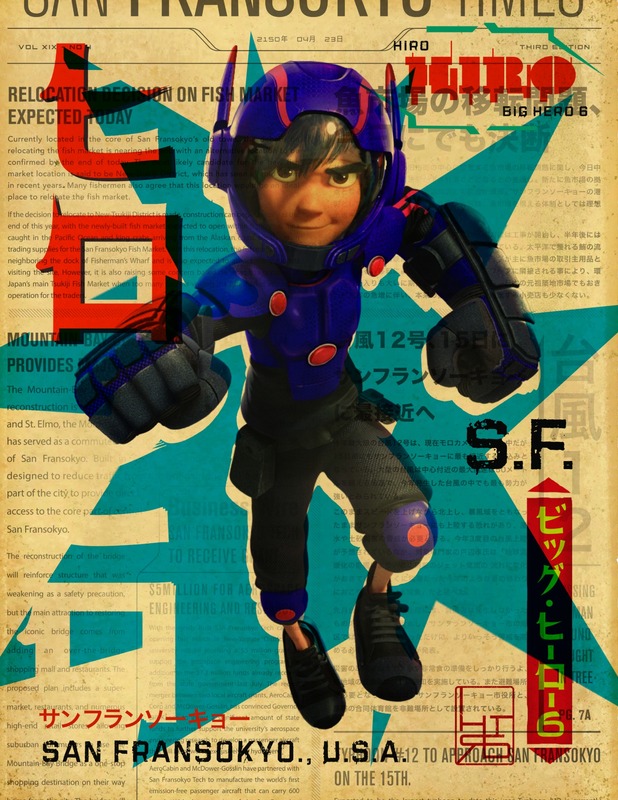 This heartwarming story, based on the Marvel comic, follows the life of Hiro Hamada as he navigates a newfound friendship with Baymax, a personal companion robot that his brother invented, as some very sinister things start happening in San Fransokyo. With the help of his creative friends, they become Big Hero 6 and a very entertaining adventure is portrayed. This is by far my children’s favorite Disney movie to come out in quite some time. We love the action, the comedy, and the great life lessons that can be learned in the movie. The characters are so endearing, you immediately feel connected to them, which is always a great thing! 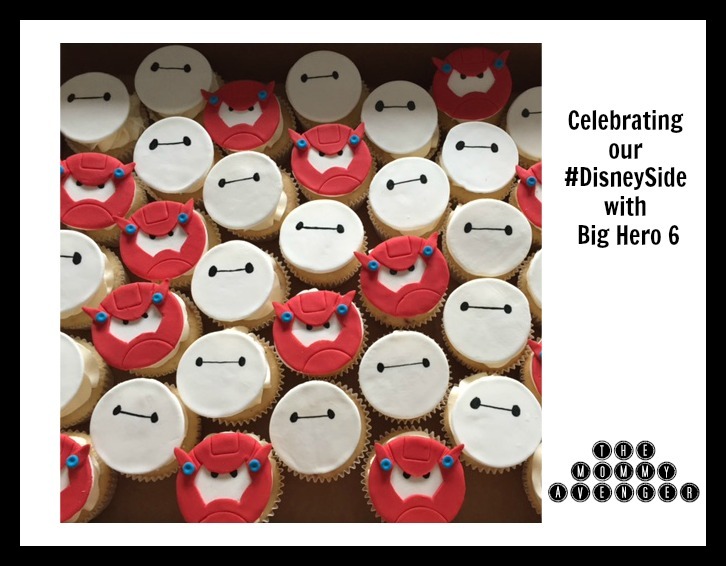 We were picked to host a #DisneySide party, so naturally, we are choosing to celebrate the heroes of Big Hero 6 for our party! Check out these awesome cupcakes designed for our party! 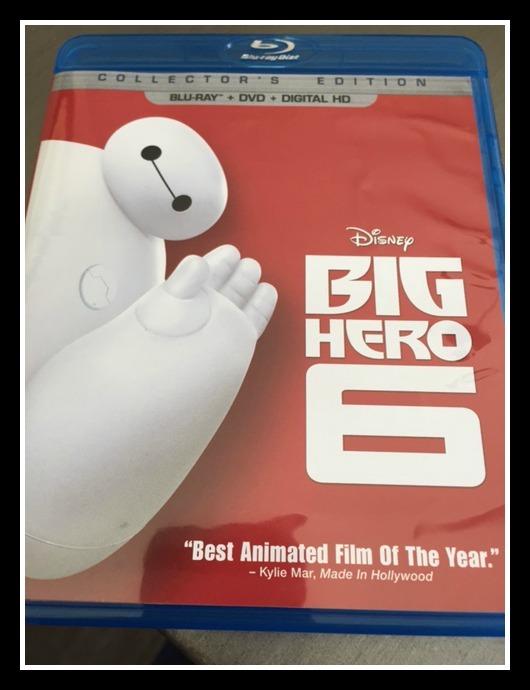 Be sure to pick up a copy of Big Hero 6 on Blu Ray, available at retailers everywhere now, and plan your own family movie night. It is a story that will appeal to everyone and you will absolutely love it!